On Thursday, December 3rd, the National Academy of Sciences (NAS) released its Review of the Landscape Conservation Cooperatives. This review concludes that a landscape approach is needed to meet the nation’s conservation challenges and that the Landscape Conservation Cooperatives (LCCs) provide a framework for addressing that need. The PICCC would like to express our gratitude to the NAS panel and staff for their careful review of the LCCs, as well as the individuals from the greater conservation community who provided input. The Academy’s recommendations will further help each agency and organization engaged in our LCC and the LCC Network to take stock of progress to ensure that, collectively, the program is efficiently and effectively addressing landscape- and seascape-scale conservation priorities using the best science available. The LCC Network is encouraged by the Academy’s finding that LCCs “address landscape conservation needs at a national scale, for all natural and cultural resources, in a way that bridges research and management efforts.” The NAS review also recognized the LCCs’ ability to create opportunities for identifying common conservation goals and leveraging efforts of diverse partners at a much greater scale than any one entity could achieve alone. Recognizing that the LCCs are still relatively new, the Academy’s review panel pointed to many early accomplishments including LCC-funded research and tools that are helping to improve resource management decision-making. The PICCC is appreciative that the panel acknowledged the work that has been done with other regional organizations as an example to illustrate collaboration and synergies on a regional level. Although the work that the PICCC pursues is distinct in nature, we share priorities and interests with other regional organizations, including the CSC and the RISA. As the panel notes, the methods, applications, and partners of all three organizations are both distinct and complementary. The PICCC also appreciates the areas the panel identified for further improvement to enhance coordination with partners around priorities and broaden the evaluation framework to better capture the contributions made by all partners and conservation outcomes at individual and network-wide scales. The PICCC looks forward to participating in a deeper analysis of the Academy’s review to continue to advance the LCCs and LCC Network and demonstrate benefits to stakeholders and the nation. The LCC Network will develop an action plan for addressing the recommendations and will provide a “report card” to document progress over the coming year. 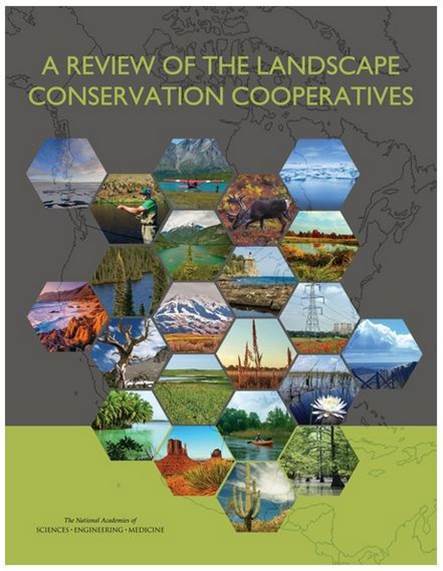 Read more about the National Academy of Sciences Review of the Landscape Conservation Cooperatives.